But this is all easily avoided. Having your photos, contacts, and everything else you need backed up is really simple. Follow these instructions, and you’ll be able to switch to a new Android phone in an instant without losing any data. The most common mistake I see new Android users doing is saving their contacts to their device rather than to their Google account. When you do this, your contacts are stored locally rather than on Google’s servers, which means that if something happens to your phone, those contacts are gone forever. The solution, thankfully, is simple — just save all new contacts to your Google account. The process for doing this will depend on what phone you have and what customizations Android Skins Explained: How Do Hardware Makers Change Stock Android? Android Skins Explained: How Do Hardware Makers Change Stock Android? Hardware makers like to take Android and morph it into something that is entirely their own, but is this a good or a bad thing? Take a look and compare these different Android skins. Read More the manufacturer has made to your Contacts app, but if you want to simplify things, just download Google’s official Contacts app from the Play Store. There are alternative Contacts apps that are great What Is the Best Contacts & Dialer App for Android? What Is the Best Contacts & Dialer App for Android? You don't have to settle for your phone's built-in contacts and dialer apps. Read More , but here I’ll be demonstrating using Contacts by Google. First, open the app and select the little “Add Contact” button in the lower right. Upon first use, it should prompt you to choose a default account to save the contacts to if you have multiple Google accounts. If not, it should default to your regular Google account. You can verify this by opening the contact and choosing your Gmail address underneath the Saving to drop down menu. If you would prefer to stick with a different Contacts app (perhaps the one your Samsung, HTC, or LG phone came with), then look for a similar option. When saving a contact, there should be some drop down menu to choose between Local Contacts or saving to your Google account. All contacts saved here are then accessible on any device where you’re signed into Google, even on the web. If you already have a large number of contacts saved locally, saved to a Samsung account, or saved to the wrong Google account, you should be able to export all of them (look in the options or settings menu for this) then re-import them as Google contacts. To find them more easily, you can sort your Contacts by where they are saved. In the Contacts app, this is accessed via the three-dot menu in the upper right under Contacts to display. And that’s it! Once you’ve got all your contacts saved to your Google account, you never have to worry about them again. As soon as you get a new phone and sign into your Google account, they’ll all be right there waiting for you. 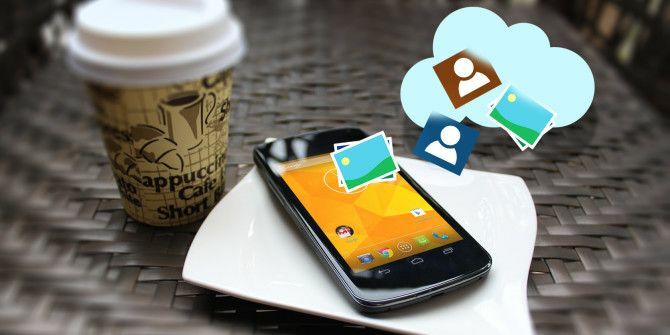 There are lots of tools for automatically backing up photos 5 Tools to Sync & Auto-Upload Photos from Android to Cloud Storage 5 Tools to Sync & Auto-Upload Photos from Android to Cloud Storage Nothing is more convenient than taking a photo on your phone and automatically having it be backed up to the cloud. 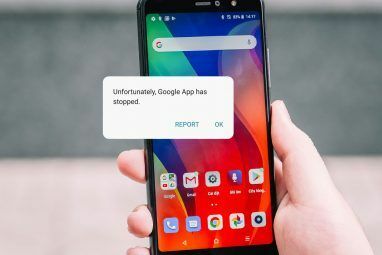 Read More from an Android device (and some more manual options How to Backup Photos from a Mobile Device How to Backup Photos from a Mobile Device It's never fun when your phone breaks and you lose all your photos -- but that never has to happen again! Learn how to backup your photos quickly and easily. Read More ), but the easiest by far is Google Photos. With Google Photos, you can back up an unlimited number of photos for free Get Free Unlimited Photo Storage & More with Google Photos Get Free Unlimited Photo Storage & More with Google Photos If you aren't using these hidden Google Photos features, you're really missing out. (Hint: There's free and unlimited photo storage!) Read More — which really makes it kind of an unbeatable deal. On Android 6.0 or later: Go to Settings > Google > Google Photos Backup and flip the switch on (as shown below). On Android 5.1 or earlier: Open Google Settings, then select Google Photos Backup and flip the switch on. Or, open Google Photos, slide open the menu from the left side of the screen, select Settings, then Back up & sync, and flip the switch on. You can fiddle with the settings to ensure that it’s not sucking up too much of your data by setting it to upload over Wi-Fi only, and the 16MP limit on photos means that you can upload full-size photos from most Android devices. Even if you do end up using another method for backing up for photos, there’s not reason not to enable this, just in case you forget to make a back up the one day you drop your phone in the toilet. We’ve covered before why you should be using Google Play Music The Best Music Player on Android: Google Play Music Reviewed The Best Music Player on Android: Google Play Music Reviewed Google Play Music is a music streaming service, a local music player, and a podcast player all mashed into one. And it's great. Read More if you have an Android device, but it bears repeating. You can upload up to 50,000 songs for free (from your PC), and then stream them or download them for offline use to your Android device. Otherwise, if you’re just loading MP3 files onto your Android device and listening to them, a stolen phone means no more tunes. With Play Music, your music is always stored in the cloud so you can access it from any computer or Android device just by signing in to Google. You could use the built-in Notes app on your device, but it probably doesn’t back up anywhere — so if your phone dies, so do your notes. Resolve this by using Google Keep, a solid note-taking app Simple Notes On The Go: Google Keep For Android Reviewed Simple Notes On The Go: Google Keep For Android Reviewed There are some amazing note-taking apps out there, but here's one that merits a closer look: Google Keep, a note-keeper which has both a great-looking Android app and a slick webapp. Read More that automatically backs up every note you make. All you need is to login to Google to access them. Similarly, you can keep the rest of your work backed up to Google Drive to ensure that you never lose any important documents. 15GB of free storage is extremely competitive in the cloud storage arena (Dropbox gives you 2GB), and Google documents, presentations, and spreadsheets don’t even count towards that limit. Then you can use Docs, Sheets, and Slides to actually get real work done — and it will all be automatically synced to Google’s servers. Of course there are other office apps The 8 Best Office Suites On Android For Getting Work Done The 8 Best Office Suites On Android For Getting Work Done It is possible to get real work done on Android, but you've got a lot of options now when it comes to office suites. Let's examine the best of them. Read More and other note-taking apps Evernote vs. OneNote: Which Note-Taking App Is Right for You? Evernote vs. OneNote: Which Note-Taking App Is Right for You? Evernote and OneNote are amazing note-taking apps. It's hard to pick between the two. We compared everything from interface to note organization to help you choose. What works best for you? Read More , but you know that with Google’s official apps, you’ll never have to worry about losing your data. Though we couldn’t fault you for using Microsoft’s solid suite of Office apps Microsoft Office For Android vs. Google Docs: Which Is Better? Microsoft Office For Android vs. Google Docs: Which Is Better? Read More (including Word, PowerPoint, and Excel) that are free on Android devices with screen sizes smaller than 10.1″. You probably already know that you can sync your Google Calendar data with your built-in calendar app or any alternative third-party calendar app The 8 Best Free Calendar Apps for Android The 8 Best Free Calendar Apps for Android Want to see which of the best free calendar apps for Android is right for you? We compare several great calendar apps to find the best. Read More , but there’s a little trick I want to share with you: You can sync more than one calendar with that account. To do this, you’ll need to visit Google Calendar on the web and select the drop down menu on the left next to My calendars. Then select Create new calendar. There will then be a lot of options for selecting a color, name, and so on, which allows you to keep one calendar for tasks you need to accomplish, one calendar for significant dates, one calendar for work meetings, and so on without having to sync with multiple Google accounts. You can then open up your chosen calendar app (mine is Business Calendar 2, shown above) and choose in the settings which calendars you would like to show. Again, because all of these calendars sync with your Google account, any changes you make in your app will automatically be saved online. This one’s a bit trickier, but there are methods for it. For instance, you could back up all your texts and phone logs to Google Drive How to Backup Your Android Phone Logs and SMS to Google Drive Spreadsheets How to Backup Your Android Phone Logs and SMS to Google Drive Spreadsheets The new IFTTT for Android will automatically store them forever in your Google Drive. Read More , but if that sounds too complex, there is an app to help you out. SMS Backup & Restore is a simple solution for keeping your text messages around. Unfortunately, it won’t sync every text message automatically to the cloud; instead, you’ll have to set a schedule for it to make the backups. By default, it just saves a local copy of the backup, but you can set it to sync to Google Drive or other cloud storage services. Then, if something happens to your device, just redownload the app, locate the backup file in your cloud storage, and restore it from within the app. I have to say, texting seems pretty dated by now — maybe you should check out one of these many messaging apps 5 Best Free Messaging Apps for Android 5 Best Free Messaging Apps for Android Need a free way to send messages to friends and family with your phone for free? Check out these apps. Read More that automatically save all your messages. Backing up games used to be difficult, but with the introduction of Google Play Games a while back, it’s gotten steadily easier. Most games now integrate directly with Google Play Games to save your progress and achievements — just ensure that you’re actually signed in while you’re playing. For games that don’t sync with Google Play games, be sure that you have an account for that game that saves your data so you can just sign in on a new device and be exactly where you left off. If that’s not an option either, search through the settings for a manual backup option which you could then upload to cloud storage. This should cover most of the essentials, but it’s always a good idea to take a look through all your apps and ensure that you could recover all the data there somehow if necessary. 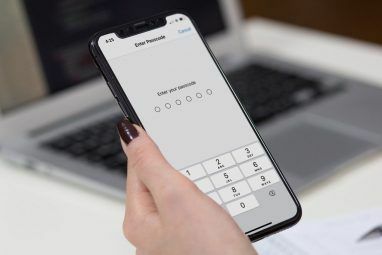 Most apps where you have an account are safe for this, because your data is simply linked to your account — so if you get a new device, all you have to do is sign into that account, and you’re good to go. This is the case for most Google apps as well as social media apps like Facebook or Twitter. But if an app doesn’t have you sign up for an account, if you re-download it on a new device, it won’t know who you are and won’t have any of your old data. Those are the apps you’ll want to be aware of, but the good news is that most apps require or at least highly recommend an account nowadays. How Do You Stay Backed up? 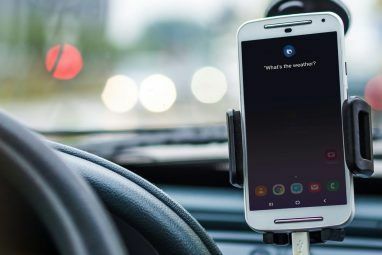 This is my go-to method for ensuring that everything is backed up, but there are other ways 3 Great Ways to Automatically Backup and Sync Your Data on Android 3 Great Ways to Automatically Backup and Sync Your Data on Android Don't lose your data! Make sure you're keeping it all backed up. For that, let us help you out. Read More . For a more complete method that basically takes a screenshot of your phone as it is, check out our other guide on backing up your Android device Here's A Free, Multi-Layered Plan To Back Up A Non-Rooted Android Here's A Free, Multi-Layered Plan To Back Up A Non-Rooted Android Even with a non-rooted Android device, you can have a solid backup plan – and it doesn't have to cost you a dime! Read More . If you have a rooted device, I’d even recommend making a Nandroid What Is A Nandroid Backup and How Exactly Does It Work? What Is A Nandroid Backup and How Exactly Does It Work? You need that backup at the ready. Read More . But of course, this isn’t the only way of backing up an Android phone. What tips do you have for folks who don’t want to lose their data? Let us know in the comments below! Explore more about: Android Tips, Data Backup. I used to use Titanium Backup frequently to back up all my apps and data, but now that pretty much everything is backed up in the cloud, there's very little that I actually need to back up. Text messages was definitely something I forgot to backup when resetting my phone and have used SMS Backup ever since. The only things I can think of that weren't covered in this article are: Downloads folder, Nova Launcher layout settings (I have to manually save and sync to Google Drive), podcast downloads that you were planning on listening to and wallpapers from various apps. Good info for people that don't understand the necessity of backup. Just a small comment on texting. Yes, sms is like a prehistoric dinosaur that refuses to lie down and die. But there is a very good reason for it. It's STANDARD. Every phone has it, unlike the plethora of other messaging apps that exist. Some people use Whatsapp, some Skype, Facebook messaging, others Viber. I have a friend that has got at least six messaging apps, and they all crave for attention in his phone by using up processor cycles and battery like nothing on this planet. He has to charge his phone everywhere he is, otherwise it dies. When I want to send an important message to somebody, and I have NO CLUE what messaging app he otherwise prefer, i just send an sms. And if I need to send a pic or recorded movie an mms. Until (if it ever happens...) there is an app that EVERYBODY uses sms will rule like the gray old tired king it is.